Food Costs > How Much Does Yeast Cost? How Much Does Yeast Cost? Yeast is a common ingredient used in food such as bread, desserts and more. The pricing of yeast is going to vary on the brand, the quantity as well as location it is purchased from. On average, a bag of yeast can cost anywhere from $1 to as much as $2 per one-ounce package. This is going to depend on the quantity and the brand. By the pound, it can cost anywhere from $5 to $11. Again, it will depend on the brand. A popular brand, such as the Red Star Baking Yeast, comes in a 2-pound bag and can cost anywhere from $5 to $11 a bag. Nutritional Yeast, a yeast commonly found at local organic stores, can cost about $4 to 5 per pound. Bob’s Red Mill Active Dry Yeast comes in smaller 8-ounce packages. A package of six can cost anywhere from $35 to $42 per box. Fleischmann’s Instant Yeast, a common brand found in grocery stores, can cost anywhere from $3 to $5 for a smaller 16-ounce bag. Yeast will consist of one cell and it belongs to the taxonomic group known as fungi. With many species of yeast, the most common is Saccharomyces cerevisiae. This is the type commonly used in baking and brewing; it can also play a part in creating wine, kefir and other products as well. Yeast will need sugar to grow, and when combined, it will produce alcohol and carbon dioxide from this sugar. Yeast can be found everywhere from fruit and plants. When the fruit falls from the tree, fruits will become rotten through the mold. In the industry, sugary water will be held in a bigger tank in the presence of oxygen. When the desired amount is reached, the liquid will be pumped out, followed by drying the yeast. Yeast that is fresh will have a lifespan of up to two weeks. It’ s important this yeast is kept in a container for up to two weeks in the refrigerator. It’s also recommended that dry yeast is refrigerated. Always be sure to check the expiration date to ensure that it’s used at the appropriate time. Mixing yeast with water is a way to tell if the yeast is active or not. To proof yeast, mix it in a small bowl of water with a pinch of salt. Let it sit there for up to 15 minutes. 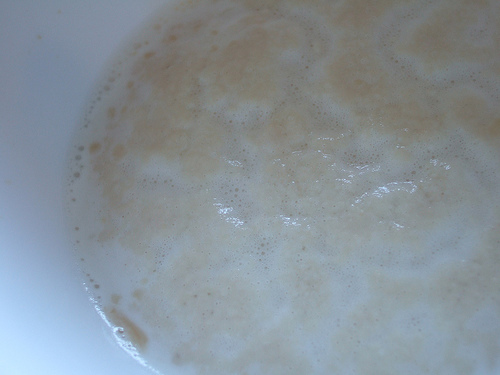 If the yeast is currently active, it will start to foam at the surface of the bowl. How much yeast in a packet? One packet will contain 1/4 ounce or 2 1/4 teaspoons. Consider using websites such as Amazon’s subscribe and save to help save on recurring costs. If you plan on purchasing yeast on a monthly basis, this is a way to save up to 40%. Yeast can be made at home. Instructables.com shows you how it can be done.